Wole Soyinka finally bin green card over Trump. 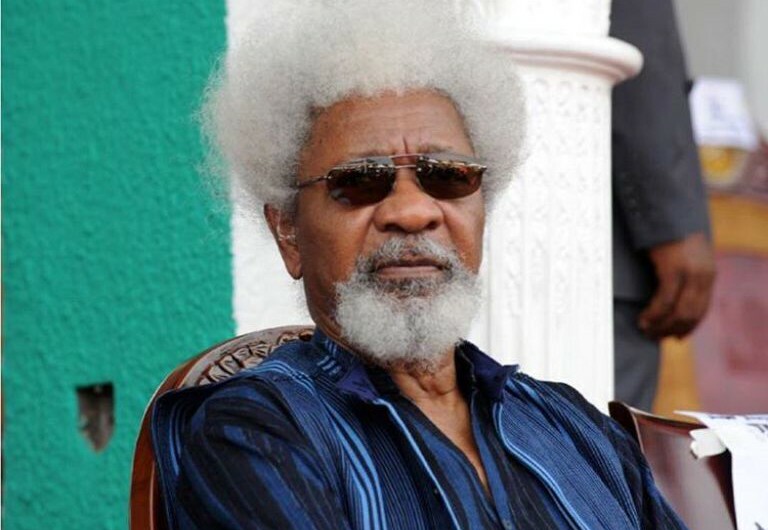 Literature Nobel Wole Soyinka, Thursday, said he has fulfilled his pledge to throw away his US residency green card and leave the country if Donald Trump won the presidential election. Shortly before the vote, Soyinka had vowed to give up his permanent US residency over a Trump victory to protest against the Republican billionaire's campaign promises to get tough on immigration. "I have already done it, I have disengaged (from the United States). I have done what I said I would do," the 82-year-old told AFP on the sidelines of an education conference at the University of Johannesburg. "I had a horror of what is to come with Trump... I threw away the (green) card, and I have relocated, and I'm back to where I have always been" meaning Nigeria.